Funeral services took place Saturday for Edmund E. “Edd” Kueker, 87, of Waterloo, who died Dec. 25, 2012, in St. Louis. Visitation was held Friday, Dec. 28, at Quernheim Funeral Home in Waterloo, and Saturday, Dec. 29, at Immanuel Lutheran Church, Waterloo. The funeral took place Saturday morning at the church, Pastor Tony Troup officiating. 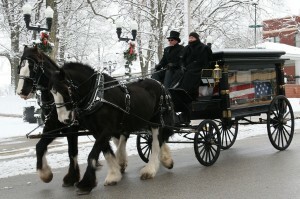 Following a fitting farewell processional in which stagecoaches led a horse-drawn hearse carrying Kueker’s flag-covered casket, burial was at Kolmer Memorial Cemetery, Waterloo. 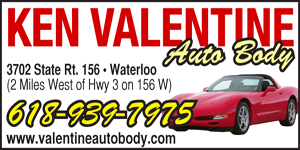 Kueker was a World War II veteran, and belonged to both the Waterloo VFW and American Legion. He was an assistant farm adviser in Monroe County, and was past organizer and director of the Monroe County Farm Bureau. He was also an original board member of the Monroe County Fair Association and was past president of the Waterloo Optimist Club. Kueker also served many years on the Monroe-Randolph County Regional School Board. He wrote numerous history books, and provided many of the historical items currently on display inside the History Museum of Monroe County in Waterloo. 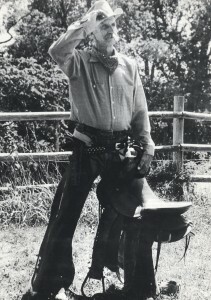 He is a recipient of numerous awards, including the Illinois Auctioneers Hall of Fame, Senior Illinoisans Hall of Fame, Illinois 4-H Alumni Award, and Waterloo Chamber of Commerce Community Service Award. He is survived by his wife of more than 60 years, Violet Kueker (nee Hartman), along with nephews, a niece, sister-in-law, and other relatives and many friends. For a full story on the amazing life of Edd Kueker, read next week’s Republic-Times newspaper.